It’s easy to fall into the ‘general’ category when creating a new furniture piece. To truly design & manufacture unique, functional furniture is about more than just getting the next piece on the floor, especially when it comes to furniture for children. One has to keep in mind that every child is unique when choosing their furniture. It is important to pick something that will fit their personalities, size and needs. Designers will confirm the fact that the best ideas emerge from a need; from a problem that needs to be solved. That’s what we look for in every furniture item we source. The designers that took the issues they were experiencing with their own children or with others’ children and solved them through their products ought to be celebrated. Their simple goal is to make life easier for themselves and others that cross their paths and use their creations. One such a person is the Danish designer Stig Leander who saw what no one else did before. He had a vision for a cradle that grew out of the need and a wish to create simple yet functional furniture. What he never realised was that within a short time, his idea would grow from one product into an international entrepreneurial adventure. He became a furniture manufacturer with activities in more than 40 countries. 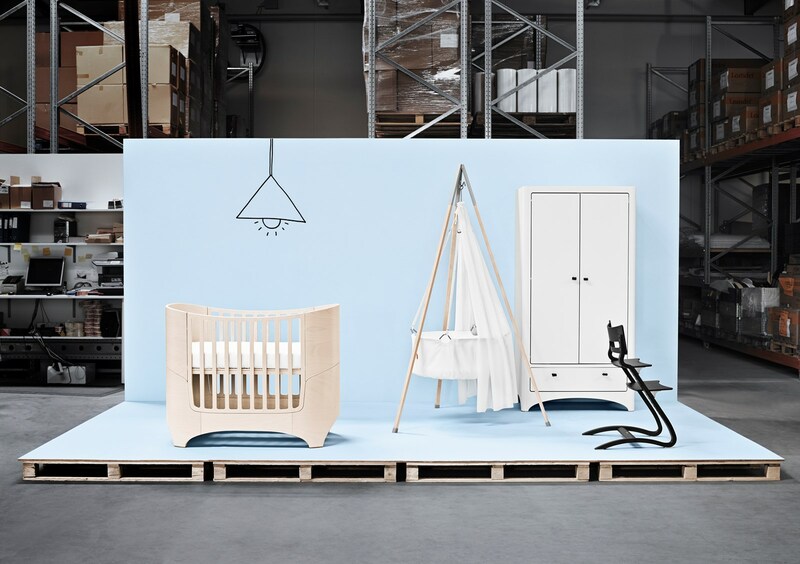 The vision of a cradle that would offer something fresh & unique in design and function led to his range of furniture for children. Today, Leander is not just about designing furniture but it’s about creating furniture that makes a positive difference and that encourages play, movement and creativity. To us, furniture that is created to enhance development and that makes life with children a little easier is a biggie and encourages the idea that furniture should fit your child instead of the other way around. It’s a natural process that we implement in our children’s lives instead of ‘forcing’ something upon them. The Leander Cot Bed grows with your child and is built to last them up to 7 years of age. The design and function of the cot bed can be changed very easily and quickly. With this cot bed you get 5 designs in one. Start by using the bed with the bottom and sides placed in baby position. When your baby starts to stand or crawl by themselves, lower the bottom of the bed. You now have a regular 70cm x 120cm bed. When the bed length becomes too short, simply change the sides and base of the bed with the kit that is included when purchasing the bed. You now have a 70cm x 150cm junior bed. When the bed is no longer used as a bed, it can be used as a smart sofa in another room. Here’s a great video to give you a glimpse at just how amazing the design & concept is. The whole Leander philosophy speaks for itself when they state that they believe design and function have to come together. They believe their philosophy is a way of thinking. A feeling. If you agree with the above why not have a look on our website at this Leander Cot Bed and Leander’s other products that we have listed. Here are the specifics if you want to get more technical.